Watch the original WTVP production of 'The Sinking of the Columbia,' on the library's Big Screen. July 3 marks the 100 year anniversary of the disaster. Join us for the steamboat Columbia excursion that started from Al Fresco Park in Pekin with 500 passengers and ended in tragedy. 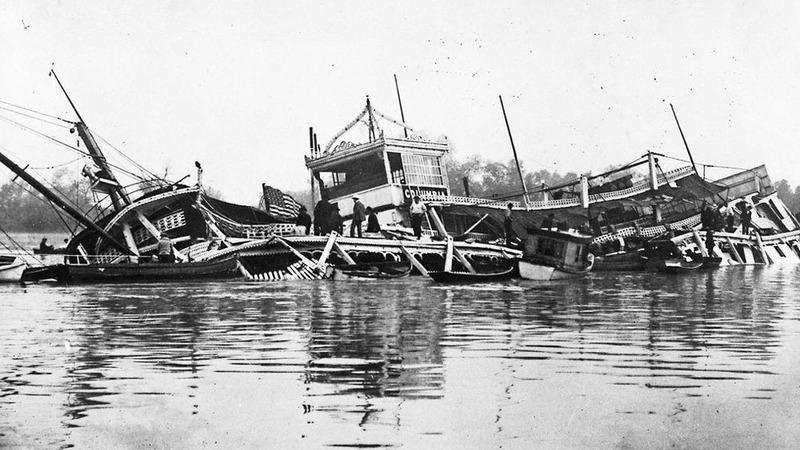 The Sinking of the Columbia is the worst maritime disaster in the history of the Illinois River, leaving 87 people dead. The documentary retells the events of that night, possible reasons for the disaster and its effect on the excursion traffic.